We have been asked to announce the death of Joyce Birnie, aged 81 years, of Hazel Court in Douglas. She passed away on Monday 30th April 2018 at Nobles Hospital, Douglas. She leaves daughter Kim, son Alasdair and families. The Funeral Service will be held at 10.45am on Wednesday 9th May at Douglas Borough Crematorium. No flowers by request. For further information regarding donations in lieu of flowers please contact Kingswood Funeral Home on 661611. Nominated Charity is Friends of Robert Owen House. We have been asked to announce the death of David Gordon Beattie, formerly of Ramsey. He passed away on Monday 30th April 2018 at Hospice IOM. He leaves wife Di, step children Debbie & Ali, brother Alan, sister in law Yvette and nieces Stephanie and Natalie. The Funeral Service will be held at 11.30am on Friday 4th May at Douglas Borough Crematorium. Family flowers only please. For further information regarding donations in lieu of flowers please contact Corkill & Callow on 813114. We have been asked to announce the death of Win Livingstone, aged 92 years, formerly of Kirk Michael. She passed away on Tuesday 17th April 2018 at Nobles Hospital, Braddan. Beloved wife of the late Ian, loving mother to Fiona, Catriona and Duncan, mother in law to Keith and David, much loved gran, great grandmother and a dear sister, she will be sadly missed by all her family and friends. The Funeral Service will be held at 2pm on Saturday 5th May at Kirk Michael Church followed by a Private Burial. We have been asked to announce the death of David Richard Jackson, aged 81 years, of Ballacowle House, Agneash, Laxey. He passed away on Monday 16th April 2018 at Nobles Hospital. He leaves wife Pat and was a wonderful father, brother, father-in-law, granddad and great granddad. The private cremation will be held at Douglas Borough Crematorium on Wednesday 2nd May followed by celebration of his life at Trinity Church at 1pm. Nominated Charity is Peel RNLI. We have been asked to announce the death of Barbara Marian Brookes, formerly of Sulby. She passed away on Monday 16th April 2018 at Ramsey Cottage Hospital. She leaves family and many friends. The Funeral Service will be held at 10am on Friday 11th May at St Stephen’s Church, Sulby. We have been asked to announce the death of Elaine Booth, aged 81 years, formerly of Andreas. She passed away on Sunday 15th April 2018 at Ramsey Cottage Hospital. The funeral service will be held at Andreas Parish Church followed by interment on Tuesday 24th April at 2pm. No flowers by request. Enquiries please to Cowles Northern Funeral Service on 815156. We have been asked to announce the death of James Alfred ‘Jim’ Caine, aged 91 years. He passed away on Wednesday 11th April 2018 at Nobles Hospital. He leaves Wife Edna, Children Hilary, Chris and Howard, Brothers Allan, Bernard and Philip and Grandchildren Sam, Josh and Jemima. Service of Celebration will be held at St Peters Church, Onchan at 2.30pm on Wednesday 25th April. For further information please contact Eric Faragher Ltd on 673109 or 622897. We have been asked to announce the death of Ena Crowe (nee Christian), aged 80 years, formerly of Harbour Lights, Peel. She passed away on Monday 9th April 2018 at Nobles Hospital, Braddan. Beloved wife of the late Fred, loving mum to Carolyn, Heather, Correna, Fred, Kathryn and the late George, sadly missed by all of her 18 grandchildren, 9 great Grandchildren and all her family and many friends. The funeral service will be held at Kirk Michael Church at 12pm on Tuesday 17th April followed by private burial. We have been asked to announce the death of Ellen Frances ( Eileen ) Watterson, aged 72 years, formerly of Port Erin. She passed away on Friday 6th April 2018 at Hospice Isle of Man. She leaves Husband Ray, Daughters Angela and Nina and families. Funeral Service to celebrate Eileen’s life will be held at Douglas Borough Crematorium at 1.15pm on Friday 20th April. Bright colours to be worn for a bright lady. We have been asked to announce the death of Richard Edwin Jones, aged 89 years, formerly of Colby. He passed away on Thursday 5th April 2018 at Nobles Hospital. Beloved husband of the late Kathleen, he leaves Daughters Christine, Gillian and families. 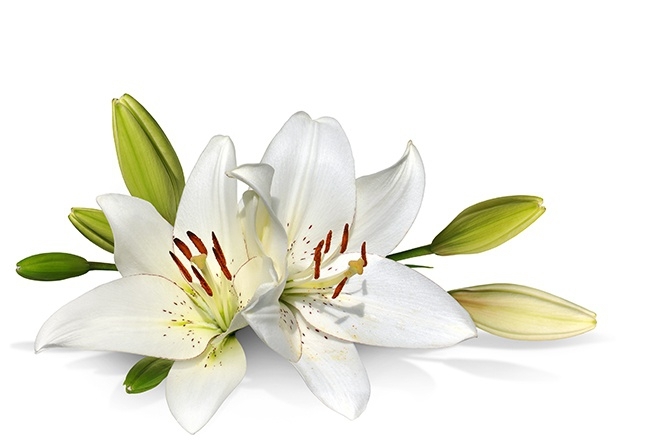 The funeral service and cremation will be held at Douglas Borough Crematorium at 2pm on Wednesday 25th April. No flowers by request. For further enquiries please contact Cringle & Co Ltd. Southern Funeral Service Port Erin: 833602 or Castletown: 824134. We have been asked to announce the death of Robert Ian Quayle, aged 80 years, formerly of Baldrine Farm, Baldrine. He passed away on Monday 2nd April 2018 at his home. He leaves sons Adrian & Mark, daughters Christine & Annemarie and families. The funeral service will be held at Trinity Church, Rosemount at 11am on Friday 20th April 2018 followed by private interment. Family flowers only please. For further information regarding donations in lieu of flowers please contact John Boyd Funeral Services on 861794/494399. The nominated Charity is Baldrine Methodist Chapel. We have been asked to announce the death of Kenny Cowley, aged 69 years, of Ballaquark in Douglas. Dearly loved son of the late Ken and Doreen, much loved brother of Trevor and the late Colin. The funeral service will be held at Douglas Borough Crematorium at 10.45pm on Wednesday 18th April. Family flowers only please. For further information regarding donations in lieu of flowers please contact Kingswood Grove on 661611. We have been asked to announce the death of Margaret Beck, aged 87 years, formerly of Dhoon Farm Maughold. She passed away on Sunday 1st April 2018 at Brookfield Nursing Home. She leaves sons Robert and Tony and families. The funeral service will be held at Douglas Borough Crematorium at 12.15pm on Wednesday 11th April 2018.